The Toronto singer-songwriter, widely embraced for his soul-touching lyrics, personable nature and warm smile to match, has the unique ability of engaging his audience on a deeper level, much more than performer and spectator. His warmth on stage emanates, an intimacy is all-encompassing, his friendliness is felt by all. The audience becomes a group of friends, the stage his living room. This is the type of vibe Weinstock is known for, and he will no doubt turn downtown Toronto Hugh’s Room into an upbeat den of positivity during the release of his third CD, Breeze Home, this Sunday. “The album definitely taps into that shift, from following your heart wherever it takes you, to songs where the heart’s clearly routed back home, and not so much the following the wind and eternity” in past music. Breeze Home, on Weinstock’s independent label Kind Records, includes an eclectic mix of talent, including a Harlem Gospel Choir and a musician from Janis Joplin’s Full Tilt Boogie Band. Weinstock’s music is greatly supported by the grassroots community and his shows often encourage community awareness and involve jam sessions and fundraising. He will be playing Sunday with his band The Magic Stuff, comprised of local talent Steve Perzow, Robbie Grunwald and Adam Balsam. Weinstock has studied piano, guitar, didgeridoo, percussion, mandolin, and sang the national anthem at a major league baseball game. The local singer/songwriter scene is a tough nut to crack. Dozens of hopefuls perform on our city’s stages nightly, hoping their unique musical takes on life will touch somebody, somewhere. Some pursue the dream in the hopes of ‘making it’ financially; others peddle their wares in aspiration of connecting with people on a musical or spiritual level. Local songsmith Mark Weinstock most certainly belongs to the latter category. Weinstock brought it out for all to see at the Cameron House on Queen West this past Thursday. The evening began with Weinstock at the Fender Rhodes. Weinstock’s amalgam of styles was immediately apparent; the first tune especially evoked feelings of both the Grateful Dead and Otis Redding. Weinstock has a unique approach in that he does not come on strong like a rock performer, nor is her pretentious like many singer/songwriters. He sat down with the audience - as if they were gathered around the piano in his living room - and told musical stories to all who would listen, and those who wouldn’t, well, forget them, man. As his set continued it was apparent that Weinstock literally cultivates a plethora of choice styles; his songwriting and singing were, at times, reminiscent of Ben Harper’s, while at other times ringing clear in true notes evocative of Van Morrison. 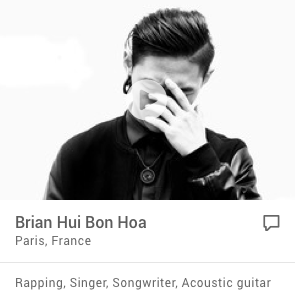 His songwriting is well-rounded and well thought-out, and his singing and musicianship are the perfect compliment. It is evident that he is a man who knows his guitar chords well, even boggling this seasoned musician with one or two augmented or diminished something-or-others. There were times during his performance, however, when Weinstock’s songs cried out to be played with a full band. Perhaps it is a matter of personal preference but certain chord progressions felt somewhat barren in light of the sparse musical arrangement. Those songs were granted their wish, however, when the members of Lavendar Gloom joined Mark towards the end of the set, and WOW! My notes clearly read “Mark sounds GREAT with a band!” With the band on stage, the chord progressions simplified a bit, but that was of no consequence due to their (and Mark’s) intense grooving. In all, Weinstock is one local singer/songwriter with a good thing going. Whether solo or fronting a band, he was able to put the audience at ease and let everybody know that everything was cool, man. I walked into the Free Times Café to see a young man with a knit hat and mutton-chops giving everyone he sees a handshake and a hug. The man, it seemed, must know everyone in the room very well. Feeling like the odd man out, I sat in a dark corner and put my notebook down on the table thinking "what is this, the Care-Bears?" Maybe I was just jealous. I assumed that since I didn't know this guy he wouldn't greet me. I was wrong. Mark Weinstock came over to me immediately and thanked me for coming out to hear him. Make no mistake: Weinstock was not desperate for fans (half of the crowd had to stand); rather, he was just a genuinely nice guy. Mark Weinstock's kindness and warmth resonated throughout the whole show. When he took the stage, instead of thanking people for coming out to hear him, Mark put a slightly different twist on it and said, "It's an honour for me to play for you." I believe that he meant it. For those of you who are into loud, screaming guitars, over-powering drums, and bass lines that make you feel as if you're having an asthma attack stay away from Weinstock's music. You will find nothing at all intimidating in anything from his guitar to his lyrics. "Dare," the opening song, fittingly starts with the words "Hello there, my old friend. We meet smile to smile again." that when he asked the audience if they are in the mood to hear a song about a hunchback or a wallaby. Personally, neither had ever crossed my mind as good writing material so I arbitrarily voted for the hunchback. Everyone else voted for the wallaby. Mark didn't call it a wallaby; he called it a "fuzzy marsupial from Australia." I reckon my first grade teacher explained wallabies in a similar way. Only some people can get away with saying that. My first grade teacher was annoying when she said it like that; Mark Weinstock was, well, friendly-almost like he was describing a teddy-bear from when he was a youth. There are not many people in today's music industry who have absolutely flawless voices. And in folk music, as Bob Dylan and Arlo Guthrie proved, a voice is far less important than lyrics. But nonetheless, there are a few folk singers whose voices alone make a song good. On that list I include Harry Chapin, James Taylor, and Tom Paxton. Mark Weinstock will one day be on that list. Mark's voice sometimes sounds identical to the perfectly "cut-through," honest voice of Louden Wainwright III. At other times, his voice flows up and down like it is on Caribbean ocean waves, taking the listener to a distant land where all are happy. When his two voices merge together, Mark sounds like a male version of Joni Mitchell. And that is perfect for his truthful, thoughtful, positive messages. A five year old child can figure out what message Weinstock usually tries to convey: peace. In "White Dove" Mark exclaimed, "Children are taught to hate.fruits of the fig tree, sweeten the Dead Sea, whispering words of love." "Righteous Woman" is a song sympathizing with the women of different cultures. In the song, a woman "runs hungry for life, dodging hatred through the alleys of the damned" in Sudan. And "does a Kosovo mother know how to keep her son from learning hate," Weinstock asks in the song. Listener Beware: This CD is full of intensely personal, flowing, melodically, haunting songs! If you crave catchy dime-a-dozen lyrics with hooks only a sight-impaired fish would miss, DO NOT LISTEN! But if listening, as opposed to hearing, is an activity you enjoy, or even relish, pop this disc in and let it take you on a journey. I first met Mark Weinstock as I was coming around the corner of the U.C. Union, about to enjoy my daily tea. It was then that I heard the piano, its sound emanating from the room next door. As I rounded the corner, there was Mark on the keys. He played with a unique passion and energy, crooning out one of his original tunes. It was then, as I watched his eyes light up with the stroke of every note, that I knew Mark Weinstock was destined to be a musician. With his new album, simple entitled Mark’s Patchwork, Weinstock has fulfilled his destiny. In fifty-two minutes of music, Mark weaves a diverse tapestry that somehow captures his journey thus far. The songs on the album have been refined from the old days at The Free Times Café. Moving from the smoky bars into the studio, Mark’s sound has acquired a crispness, call it a musical maturity. Together with accompaniment from musicians such as Morgan Doctor, Shechar Dworski, Josh Engel, and many others, Mark has created a sound which is at once primitive and at the same time modern. With his patchwork, Mark continues the great musical tradition of one man strumming a guitar and singing from the depths of his soul, creating beauty out of all the chaos. Mark’s Patchwork captures the energy and vibrancy of Mark himself. He has toured all over North America, spreading his word and his sound. Mark’s Patchwork acts as a musical documentation of his travels throughout the world and through himself. As a first album, it is impressive. Solo songs like “Dare” and “Righteous Woman” solidify Mark in the annals of the folk tradition. And on songs such as “Mood Swings” and “Sacred Train,” Mark combines the talents of many musical artists to create a beautiful patchwork. Since the first time I met Mark, on the piano at the Union, he has grown into a mature musician. His music, like his journey, is filled with a purity of spirit that can’t help but come across. With his energy and excitement there is no telling where Mark and his patchwork will go next. He is truly one who dares to dream out loud. Journalists meet many fascinating folks, but occasionally an interview resonates as a personal favourite. Such was the case recently, when I met Mark Weinstock, a young musician who serenaded me in my living room. He’s only in his early 20s and already this local bard has travelled extensively. He’s lived and performed in exotic places, (solo or with a band), and he’s just cut his first CD, Mark’s patchwork. “We had two CD launches in Toronto as we decided to celebrate twice with two concerts. It was wonderful. There was a different energy at each concert, so we’re really happy we did that,” he says. Now he’s hoping to take it on the road to expand his fan base. Haunting instrumentals are the highlight of the CD. This singer-songwriter is tremendously proficient with several eclectic instruments from around the world including the Tarbukah (Israel); Didgeridoo (Australia); Kalimba (Africa); Bamboo flute (India); Pan flutes (Ecuador); Reed Pipes (Egypt); and Tibetan bells. “I love to travel. In Australia, I didn’t mean to play. I didn’t even bring my guitar. I showed up at a cabaret, I borrowed a guitar, and they squeezed me in. It was a great crowd, a few hundred people. So I played some songs and then I discovered I won –and I didn’t even know it was a contest!” He learned how to make his own didgeridoo from a local master, and began getting gigs in Australia. Not every adventure he’s had was a pleasure ride. He loved staying in Israel, but one day everything stopped cold in the streets, as a bus bomb went off on a bus ahead of the one in which he was travelling. He says it was the end of a time of innocence for him, inspiring some profound songs for his repertoire. In high school, Mark discovered his natural affinity for music, and his vocation. His “folky nature” evolved with receptive audiences, which he found incredibly encouraging. As a result he began telling stories at these concerts. It’s just before show time, Nov. 4th at Clinton’s Tavern in the Annex, and Mark Weinstock seems to be smiling and hugging everyone in the room. Weinstock’s band Mark’s Patchwork has been playing the downtown area extensively over the last year and it seems to be paying off - a loyal group of “Wein-stalkers” and their friends have filled the seats. The atmosphere is friendly and familiar. When Weinstock takes the stage with his acoustic guitar and smiling voice the audience seems less a crowd than a group of friends, as if the apartment wasn’t big enough to handle them all so they rented out a bar. This communal feeling is reinforced by the ever-shifting nature of the Patchwork, which, over the course of the night, comprises anywhere from one to seven people, and an unusual variety of instruments. The group includes Morgan Doctor of the Toronto Tabla Ensemble and recorder player Martin Faye who executes an astounding solo on the song “Renaissance”. The Patchwork’s most notable member though is Josh Engel, a truly gifted, Jerry Garcia-influenced guitarist, who usually plays with the band Beyond the Pale. Most of Engel’s solos would not have sounded out of place on a Grateful Dead bootleg, but his most impressive moment of the night was a Mandolin-charged cover of the Guns N’ Roses pop metal classic Sweet Child O’ Mine that drew both laughter and applause from the audience. Music has always been part of Mark Weinstock’s life and he is sharing it with the world with the release of his first CD, Mark’s Patchwork. “This album being released is a dream come true,” says village resident who put aside his teaching career and a masters in education to pursue music full time. He credits a variety of influences with getting him to create his sounds ranging from folk, world and classical music to jam bands and writers that he considers to be great storytellers. “If it comes from the heart, it touches me,” he adds. While Weinstock’s solo shows consist of him and a guitar, he often changes the sound of his concerts by playing with a variety of local musicians. He uses the term organic jigsaw band to describe the changes in size and sound that songs may have from one concert to the next. Performances also often include songs in French and Hebrew. Many of his favourite musicians are featured on the CD which was produced with the help of Juno winner Norm Barker. The title reflects the CD’s content both in the blending of musical styles and the weaving of the stories in his songs. Weinstock’s intimate concerts have created a loyal following as proven by his fan journal. In it, the audience is encouraged to put down their thoughts on the show and the music. Weinstock says he began the journal to keep in better touch with the audience. When he began playing, the crowds were small and he made a point of talking to people in the audience after sets. As the crowds grew, however, he missed the chance. Like a kind relative or reassuring friend, Marks songs hold the listener in a timeless place, making them feel connected to something bigger, brighter and true. Stories and confessionals, hearts and thoughts are delivered with warm vocals and an effortless blend of musical styles. 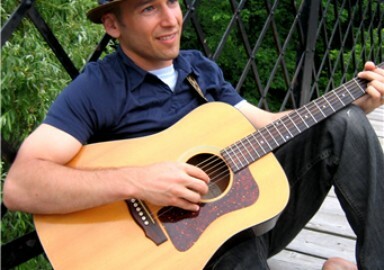 Mark Weinstock is an award winning singer-songwriter whose unique gift for creating an intimate connection with his audience has attracted loyal listeners from across the continent and overseas. He began writing poems for his teacher in fifth grade and soon discovered the magic of music. As a child, Mark accompanied John Sebastian at the Genie Awards, sang the national anthem at a major league baseball game, and went on to study piano, guitar, didgeridoo, percussion, mandolin, creative writing and voice. He honed his craft on the road, performing at festivals and concert halls around the world, picking up new stories and instruments along the way. Marks songs have been placed in feature film and his written works have appeared in international publications in three different languages. Marks recordings feature an eclectic patchwork of musicians, including, a seven year old soul singer, a Colorado cowboy, the All Gods Children Gospel Choir and greats from bands such as Janis Joplins Full Tilt Boogie Band, The Band and more. Breeze Home drew high praise and comparisons to Van Morrison, Paul Simon and Ben Harper. Marks concerts and albums continue to receive glowing reviews from the media and music circles alike, establishing Mark Weinstock as one of Canadas preeminent emerging talents and one of its best-kept secrets. And painted the canyon’s rock sunset red. Winter and night united over my head. Come share your fire with me. Cuddle me puddle me into a peace. That’s better then dreaming and sure is better than sleep. Smother me close in satin and fleece. If I’m thrown from my thrown with no home left to roam. Chilled and spilled, soaked and joked right to the bone. Too cold, too old, too bold to sleep all alone. But if one day I should find that my life is a curse. And should look inside of your eyes and see yours is worse. Somehow I’ll find some spark to warm you first. I will share my fire with you. I’ll cuddle you puddle you into a peace. I’ll smother you close in satin and fleece. I’ll bring you tea with honey and feed you the finest feast. I will bathe you in bubbles 'till all of your troubles have ceased. Stay with you 'till the dew rises in the east. And my vision starts to fade. And it tastes just like homemade. Hang me ‘till I’ve dried. Give me the strength to give her back all the tears she’s cried. I found a heart, Lord help me not to break it. Don't let the candle start to fade. I know this heart, this heart can take it, can taste it. And it tastes, just like homemade. Will I ever find the strength to stay? Before she finds the strength to go her way…away. Just bring her, bring her near me. Make it taste just like homemade. Your love babe, it tastes just like…home.